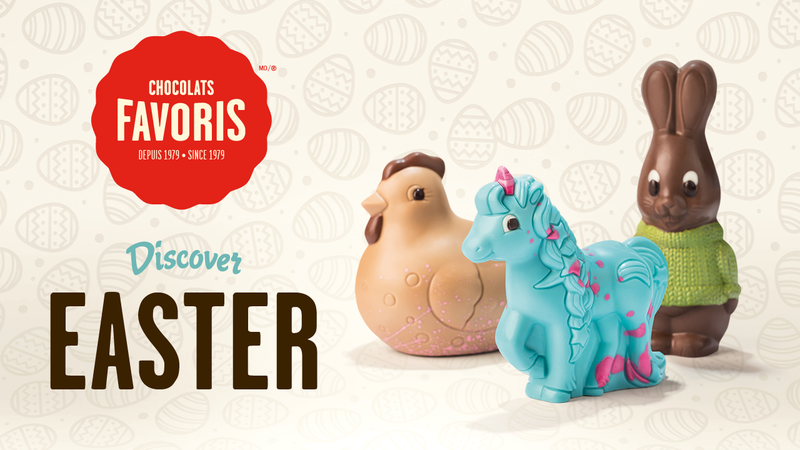 WIN an Easter Gift Basket from Chocolats Favoris! Monday to Thursday, listen to the Beat’s 5@7 for THE 5@7 QUIZ with Cat Spencer and Claudia Marques for your chance to WIN an Easter Gift Basket from Chocolats Favoris! Proudly Canadian since 1979, Chocolats Favoris’ master chocolatiers are recognized leaders in the world of chocolate! Their magical chocolates shops and creameries are opened all year long! Everybody loves their famous real chocolate ice cream dipping and fondue, and their fine chocolates are made with fresh ingredients such as butter and 35% cream. Most are made by hand, with a lot of love!